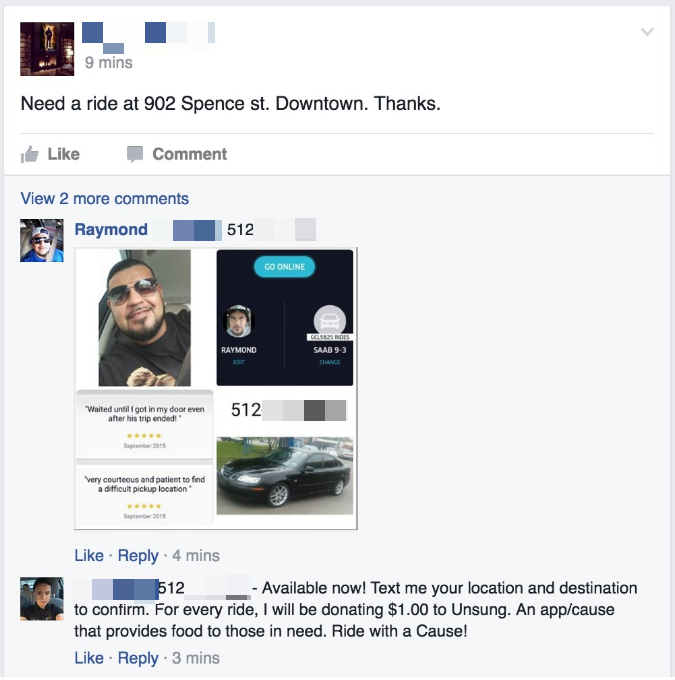 Ride Hailing stories at Techdirt. stories filed under: "ride hailing"
This century has produced a new lexicon that didn't exist a generation ago: Broadband. Apps. Connectivity. Streaming video. Social networks. The on-demand economy. The new millennium has also produced a startling number of successful American companies with worldwide reach: Airbnb, Amazon, Facebook, Google, Lyft, Netflix, Pandora, Snapchat, Twitter, Uber, Yahoo, Yelp. With so many American innovators leading and improving the global economy, it would seem natural for American policymakers to do everything possible to allow these companies to flourish. Instead, we see far too many examples of our politicians actively discouraging or burdening new services from the country's leading American companies. With good intentions, but flawed logic, politicians are jumping in to regulate these new companies, slowing the pace of innovation. In July, Democratic New York Mayor Bill de Blasio was forced to table a plan to limit the growth of ride hailing companies like Uber and Lyft in New York after riders launched a public campaign to stop the proposal. Ride hailing services give New Yorkers and visitors access to quick, clean and affordable transportation options and help expand the city's economic growth by creating more job opportunities. So why are city regulators trying to slow their expansion and limit consumer choice? On-demand economy services like Airbnb that link homeowners with those looking for places to stay are also under attack, as hotel unions join with the lodging industry to regulate, and in some cases ban, these services. The city of San Francisco is considering a measure that would cap Airbnb stays at 75 days, a move that Airbnb says will cost the city $58 million in tax revenue over the next 10 years. Why would city leaders seemingly ignore the potential good that immense amount of revenue could do? Our nation was built on a foundation of freedom -- freedom to contract with each other for goods and services, freedom to innovate and create new products, freedom to start a new business and maybe even fail at it. The government should only impose itself on industry if there's a compelling public interest. Rather than force new services to fit the framework of old rules, innovative startups offer regulators a chance to revise outdated rules to reflect a new reality. Ride hailing services naturally weed out bad drivers and poor service, especially when compared with the legacy cab drivers who aren't rated on or accountable for the quality of their service. Government can and should require driver screening and insurance, but it's the dynamic feedback nature of the wireless service that safeguards the public and benefits drivers. Home-sharing services like Airbnb give users more options when they travel and provide extra income for homeowners. Government can and should collect hospitality taxes after some threshold of rentals, but cities benefit from the influx of tourism whether visitors stay in hotels or not. Recently, my family took a holiday in New York City, where Manhattan has few hotel options for families with children. Thanks to Airbnb, we rented an apartment for a third of the comparable hotel price. Meanwhile, millions of Americans enjoy new services and experiences thanks to the ever evolving tech economy -- whether it's making a living from eBay or Etsy, figuring out where to eat or stay from Trip Advisor or Yelp, or enjoying new music from Pandora. Politicians need to get out of the way, let these businesses thrive and intervene only when there's a demonstrated, compelling need -- and even then, do so as narrowly as possible. The public is voting with their apps and their finger taps. Politicians would be wise to listen to the sounds of the page clicks. It's what their constituents want. Okay, there are some legitimate gripes one can have about driver-on-demand services like Uber even if I think many are overstated. You can complain that you don't like the way the company runs its business. You can question the company's commitment to privacy. You can question the company's hardball tactics with politicians and journalists. You can even question the impact that the company has had on the market. These are all legitimate areas to explore, though the deeper you go, the more you're likely to realize that most of the complaints are exaggerated. However, the really crazy kneejerk anti-Uber sentiment tends to be ridiculous, and frequently driven by cab companies that just don't like the competition. For those who use Uber, the service is almost always significantly better, more convenient (and these days, often cheaper) than traditional cab service. That's what happens when you're enabling competition in a previously limited market. But some folks still are going absolutely nuts over Uber, and France appears to be ground zero for the craziest of the crazy anti-Uber folks. We'd already mentioned that French officials had raided Uber's offices not too long ago, but today cab drivers decided to "protest" Uber by... showing that they're a bunch of violent hooligans. At least that seems to be the message cab drivers are sending with today's violent anti-Uber protests. French taxi drivers blocked the entrances to Paris’s major airports and train stations, while disruptions were also reported in other cities, including Marseille and Aix-en-Provence in the South. In Grenoble, near the border with Italy, taxi associations burned tires on the highway, while in Paris, police officers in riot gear used tear gas to disrupt the protests. The anger from French taxi drivers is the latest in a series of challenges confronting Uber, which has been accused by taxi associations and some policy makers of breaking national transportation laws and of creating unfair competition to traditional taxis. The ride-booking service faces regulatory scrutiny in many of the countries in which it operates. If the fire situation didn't already give you a clue, these protests quickly went beyond mere protests, to true modern Luddism, with taxi drivers starting to flip cars and setting more fires. Originally, this morning I was just going to write a post about London's silly move to make Uber drivers pass a special test akin to the infamous "The Knowledge," but then France cabbies went and did this sort of overreaction. So here's the question: what do these cabbies think they're accomplishing here? If Uber wasn't a service that people wanted to use, then there wouldn't be a problem. But it is something they want to use, and it's a service they like. Getting violent, flipping cars, setting fires and terrorizing passengers is going to do what exactly? Suddenly get everyone to think "why, yes, I'd rather pay extra money and take a ride with these sociopaths?" Yes, Uber can be a bit brash in how it carries itself, but the way to deal with that is to provide a better service. Flipping cars and setting fires does not appear to be doing anything related to that. Whatever you might think of Uber in terms of its attitude and practices (and, really, people feel this weird need to rant on about such feelings, but that's unrelated to the point of this post -- so no need to tell everyone), you can't really deny that it has truly revolutionized the way that many people are able to get around in a variety of metropolitan areas. And Uber and its various competitors have done this by building a better system that is much more convenient and easy to use, and actually using much more realistic market forces, rather than doing silly things like artificially limiting the number of taxi medallions to keep taxi services scarce and expensive. Of course, the old beneficiaries of the system, have hit back any way they can. As we've written repeatedly, various cab companies and bureaucrats seem to go out of their way to attack such ride sharing services. The typical go-to claim from those hating on ride hailing services is that because they're less regulated, they're more subject to fraud and abuse or unsafe driving conditions. There is, however, little evidence to back that up. While there are some anecdotal stories of bad ride hailing drivers, we're already seeing innovative ways to deal with that. For example, in India, Uber recently added an emergency button to its app, which would directly alert police if a rider was in trouble. In short, what we've seen is that, through innovation, competition and (most importantly) an abundance of information, a better overall result can occur. The reasons for many taxi regulations in the past was because of clear information asymmetry: taxi drivers could (and frequently did) screw over passengers, because there was basically no recourse. There was no way for a rider to know if the driver was safe or not, and (more importantly) no real way for that rider to then warn future passengers. But ride hailing services changed that in a big way by flipping the equation, and allowing a good way to rate drivers and to create incentives for those drivers to do a good job. It's not perfect, but, frankly, my own experience in using Uber and Lyft has been that the overall experience has been much, much better than using a traditional cab. In New York City -- a place where cabs have long been limited by its famous medallion system -- there's been a struggle to deal with this innovative change. Just last year, we wrote about the Taxi and Limousine Commission declaring Lyft to be illegal. And, a few months ago, a NYC politician proposed a bill that would require the TLC to create its own Uber-like app. Because, apparently, innovation works by having the government mandate another part of the government copy an innovative company? The website and/or smartphone application must provide Passengers, upon request, with an estimate of the total fare, inclusive of all fees and any price multiplier or variable pricing policy in effect, for the ride. I can see how that would be a nice feature to have, but should it be required by the government? If Uber doesn't provide that and Lyft does, then isn't that just a competitive advantage for Lyft? And, really, do existing taxi systems already do that beyond a driver tossing out a random estimate off the top of his head on how much it will cost to go somewhere? Then there's something really concerning: buried in the rules is the idea that drivers can only work for one provider at a time. 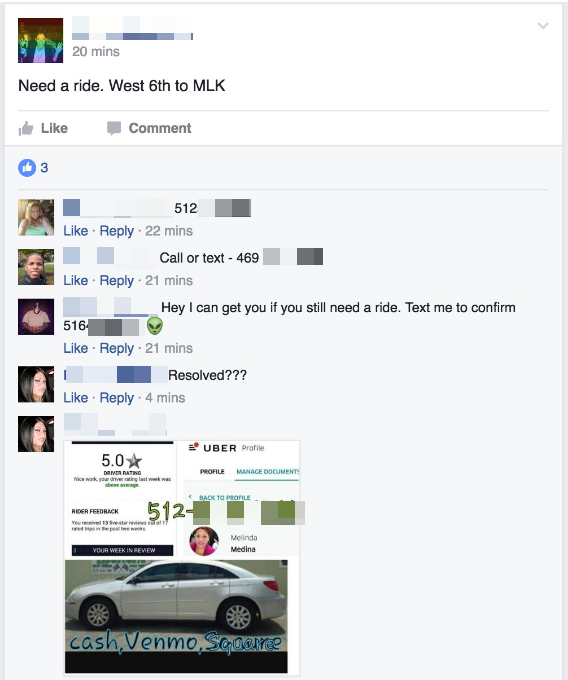 I've seen many drivers that work for both Lyft and Uber (and sometimes others as well). Specifically, the rules have a "one device" rule -- saying drivers can only use a single device at a time, but many drivers that I've seen who work for multiple services have separate devices (and some, like Uber, will offer to rent you a special phone just for being an Uber driver, if you don't want to/can't use your own phone). a For-Hire Vehicle may be equipped with one electronic device that is used to accept dispatches from a Base or FHV Dispatch Application, provided that that the device is mounted in a fixed position and not hand-held and use of the electronic device is limited to either voice or one-touch preprogrammed buttons or keys while the Vehicle is in motion. And, sure, you can reasonably worry about the driving safety of someone who has multiple such devices, though I've seen plenty of drivers with two or three phones lined up in a way that seems perfectly reasonable. The more glaring concern here, though, is that such a rule basically locks in the incumbents and harms the upstarts. If a driver can't drive for Uber and a new ride hailing startup, they're likely to just stick with Uber, and the upstarts get cut out. That's a problem. Even if that's not the intention, it's these kinds of regulations that all too often lock things in so that incumbents stay in power, while startups are blocked. Furthermore, just the idea that any new service in this space has to now go and plead with the TLC to get "licensed" is going to slow and limit the opportunities for new and innovative players in this space. Uber got to where it was by building a useful service, not having to ask local bureaucrats for permission every time. The next generation of companies looking to reinvent the space won't be so lucky -- and that may mean we all suffer.